China and Russia will hold naval drills in the South China Sea in September, the Chinese Defense Ministry told a news conference on Thursday, adding they are designed to strengthen cooperation between the two countries and were not aimed at raising tensions. "This is a routine exercise between the two armed forces, aimed at strengthening the developing China-Russia strategic cooperative partnership," China's Defense Ministry spokesman Yang Yujun told a news conference, as cited by Reuters. He also added that the exercise is “not directed against third parties." China Military Online published material earlier in July that the ‘Joint Sea’ naval exercise was due to be undertaken in September. 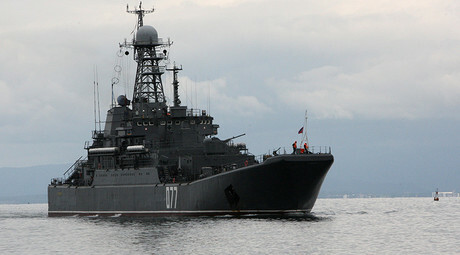 The operation was first conducted in 2012, and has subsequently become an annual event for Russia and China. Last year, 22 vessels, 20 aircraft, 40 armored vehicles, and 500 marines from Russia and China took part in the drills in the Sea of Japan, off the coast of Vladivostok in Russia’s Far East. “These drills are not targeted against any specific country. The main thing is to develop a common military response with our close neighbor against any threat,” Russian Deputy Commander Sergey Vertepa told RT, speaking of the exercises in August, 2015. 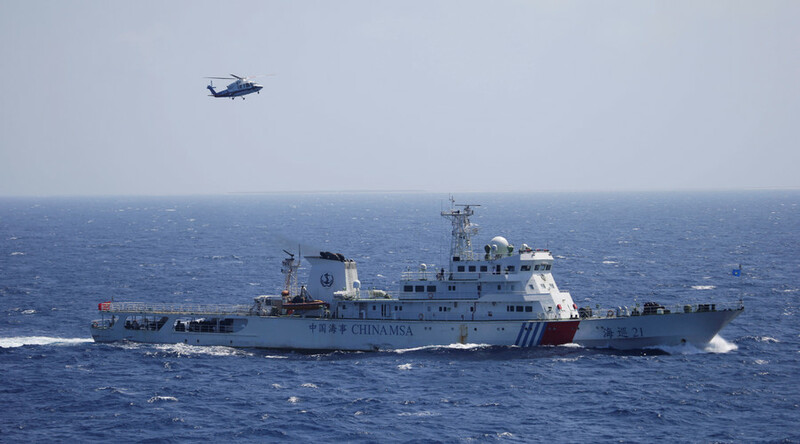 This year’s drills are likely to further increase tensions with the US, which is becoming increasingly worried about Beijing exerting what it believes are its territorial rights on the South China Sea. Meanwhile, China is becoming increasingly tired of Washington meddling in Beijing’s spheres of influence. "Western countries have a long history of failing to establish orderly rule over parts of the world. The Middle East is a classic example," Chinese state news agency Xinhua said on July 20, adding that "[t]heir intervention has led to chaos in Syria, Iraq and Libya." Saying that countries outside the region might only cause more problems in the dispute, Beijing has warned such nations to stay out of the issue, saying it "should be left to the countries of East and Southeast Asia." The dispute over the South China Sea, which includes the Spratly and the Paracel Islands, involves rival territorial claims from China, the Philippines, Vietnam and Taiwan. China also has ongoing territorial disputes in the region with Malaysia and Brunei. 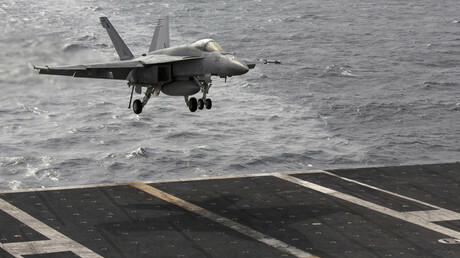 US military forces are present in the area, with Washington claiming it can operate wherever international law allows. The sea is a strategic water route in the region, with cargo traffic worth several trillion dollars moving through it annually. “The South China Sea protects China’s access to the India Ocean, which happens to be Beijing’s crucial energy lifeline. Woody Island in the Paracels, southeast of Hainan Island, also happens to be a key bridgehead in One Belt, One Road (OBOR) – the New Silk Roads. The South China Sea is strictly linked to the Maritime Silk Road,” independent geopolitical analyst Pepe Escobar told RT, underlining why the area is so important. However, US Chief of Naval Operations John Richardson says that the US Navy will continue to be active in the area. "The US Navy will continue to conduct routine and lawful operations around the world, including in the South China Sea, in order to protect the rights, freedoms and lawful uses of sea and airspace guaranteed to all," he said last week, as cited by Reuters. A tribunal in The Hague ruled on July 12 that China had breached the Philippines’ sovereign rights in the regards to the Spratly Islands. However, Beijing ignored the ruling, saying its islands come with exclusive economic zones, where Chinese people have had activities for 2,000 years. “China's territorial sovereignty and maritime rights and interests in the South China Sea shall under no circumstances be affected by those awards. China opposes and will never accept any claim or action based on those awards," a statement by the Foreign Ministry read. “I think the US has set the precedent and so China has said that this is a matter of its sovereignty. Therefore, it is not going to recognize the jurisdiction of The Hague. This has been done before by the US and so the US is going to have to live with the results of its own behavior,” she said.